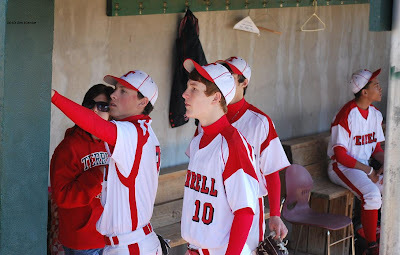 The Terrell Tigers were one hit in a 6-0 loss Saturday to the Euless Trinity Trojans in their final game of the Benny Jones Tournament. The Trojans scored in the bottom of the first inning and behind good pitching and fielders being in the right position they were never threatened. The Nathan Adam registered the only hit for the Tigers, getting a one out single in the 6th inning. The Tigers only had two other base runners reaching on walks. The Tigers finished 1-2 in pool play, and will next face Garland Lakeview Centennial at home before heading to the Waxahachie Tournament next Thursday. 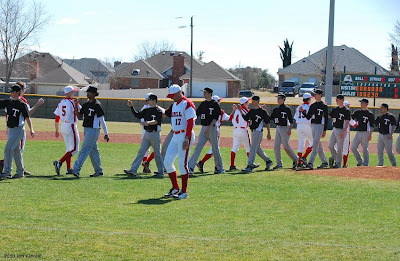 The Tigers lost game one of the tournament 13-2 to Garland Lakeview Centennial. I still haven't been able to go through all of my pictures. Look for a few more on the blog and on Facebook.